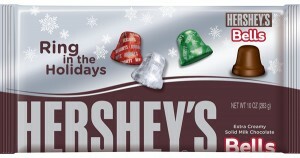 Celebrate with Hershey's #Giveaway ENDS 12/18! CLOSED!! The holidays are here and I dont know about you, but I love treats during the holidays! I look forward to the different candies that are available not only for eating but for gifting, baking with and creating edible holiday decorations with! That is what is so great about the different products from Hershey’s. I can do so much with their products, and they also have an amazing site where I can find all of the info on great holiday treats as well as other creative ideas that you can do with the Hershey’s products! Visit CelebratewithHersheys.com to find some amazing ideas then go out and get the supplies you need to create these great ideas that you can show off this holiday season! To help my readers out this holiday season the wonderful people from Hershey’s would like to give one of my amazing readers a great holiday gift pack filled with Hershey’s goodies!! Tell me what you would like to make after looking over the holiday recipe and crafting ideas over at Celebrate With Hershey’s! Please leave me your email with this entry! This giveaway is open to US residents. This giveaway will end at 11:59 pm on December 18,2011. Winner will be chosen at random.org and will be given 48 hours before another winner will be chosen. All products for reviews and giveaways are given as a sample from the companies. All opinions in reviews I conduct are my own. I was not paid to say anything or review any products. I'd like to try the Krunchy KISSES Cookies Recipe. i found a lot of recipes i will be using! one is REESE'S Peanut Butter Temptations Recipe thanks! I entered your ArrayGift.com $50 Giveaway. I also entered your ArrayGift.com $50 Giftcard Giveaway! I entered your Naturepedic Contoured 2 Sided Changing Pad Giveaway. I entered your NoJo Bedding Giveaway. I'm going to make the Herseys kisses "kissletoe" http://www.hersheys.com/celebrate/holidays/craftdetail.aspx?id=98 before my husband comes home from work one day! I would make the creamy filled brownies. Yum! I wanna try out the Chocolate Ice Crispy Pie Sundae recipe!!! Looks so good!!! 'd like to make the Double Chocolate KISSES Cookies, sounds YTUMMMMMY! I would love to make Chocolate Ice Crispy Pie Sundae.